Each plot in the Blow Me Down Community Garden is 4×16 feet. Plots can be rented by a family, couple, individual or group who would like to grow their own organic produce. Each plot owner is responsible for their plot and agrees to keep the plot maintained as to the specifications stated within the annual lease agreement. In addition, each plot owner becomes part of the larger garden community. Plot owners are expected to spend some volunteer time on the general maintenance of the entire community garden. Our garden was founded by the Western Environment Centre in 2010. 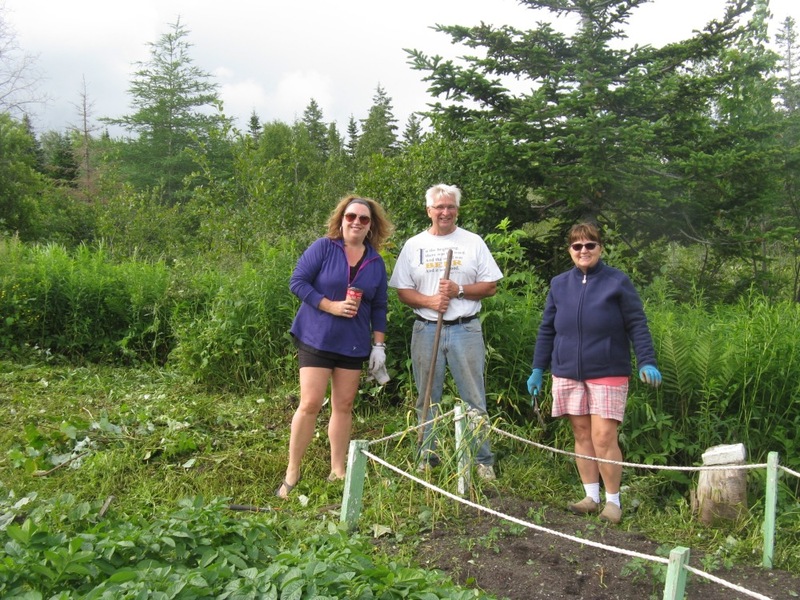 Our aim is to raise awareness about sustainable living by providing the citizens of Corner Brook with an opportunity to grow their own fresh, organic vegetables. The garden started with 17 plots, and in 2011 another 18 plots were added to accommodate the growing demand. In 2011, we also added a greenhouse to extend our growing season and to use for educational workshops. Our gardeners are a diverse mix of families, students, retirees, professionals, groups of friends, and individuals who all work together to make the garden a success!